Visitors to SPE Offshore Europe in September will be able to transport themselves to a virtual reality (VR) drilling rig, thanks to the latest technology being offered at Robert Gordon University (RGU). The university, which is exhibiting as part of the Aberdeen City and Shire Exhibition Stand (2C20), will have its newest addition to its suite of simulation facilities available for guests to try out. 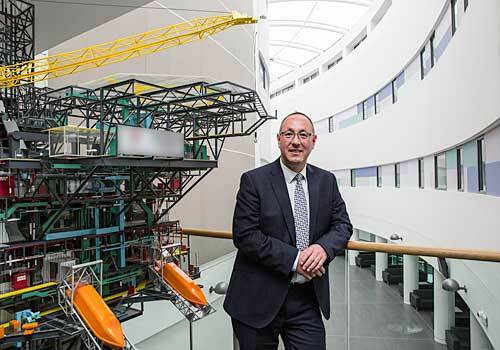 The technology forms part of RGU’s Dynamic Advanced Responsive Training (DART) centre, a joint-venture between KCA Deutag Ltd (KCAD) and the university, which provides realistic real-time training within a virtual drilling environment. RGU, in collaboration with partners KCAD and Drilling Systems Ltd., has established these world-class simulation, visualisation and augmented reality facilities at its campus in Garthdee, which supports both industry and the teaching and research offering at the university. An accredited International Well Control Forum centre, DART at RGU draws upon KCAD’s drilling expertise, engineering skills from within the School of Engineering and psychologists from the School of Health Sciences to deliver ground-breaking consultancy, training and research in business-critical human factors analysis and adjustment. “The users are able to look around the artificial world, and with high quality graphics move about in it and interact with virtual features on the rigs. We can teleport you to different parts of the rig to see the drilling equipment and how it’s used to drill wells. This VR world is great for learning what life is like on the rig and how it works including identify different parts that make up the rig site. The suite of simulators we have at DART allows us to create all types of scenarios which may be encountered in drilling operations and develop technology which can overcome the problems the industry is facing,” adds de Leeuw. As well as the VR station, guests to the stand will be able to learn more about RGU’s range of energy-related courses – ranging from Undergraduate degrees to Masters and a whole range of short course and distance learning options. The team from the University’s Oil and Gas Institute (OGI) and Business Services department will also be on the stand to discuss the wide variety of services they can offer, from education and training, to business consultancy and research.